Has the 2018 Toyota Corolla Received Positive Reviews? Find out more about how critics have praised the new Corolla today! Kelley Blue Book noted that “no other compact car” can match the Corolla in standard safety systems. The Car Connection singled out its excellent safety scores (including an IIHS Top Safety Pick+) when giving it a 9 out of 10 in safety. These safety features will go a long way toward keeping your passengers safe on the streets of Madisonville. To learn more, visit Watermark Toyota today! With loads of modern tech features and a wide range of trims to choose from, there’s a Corolla for every type of driver. 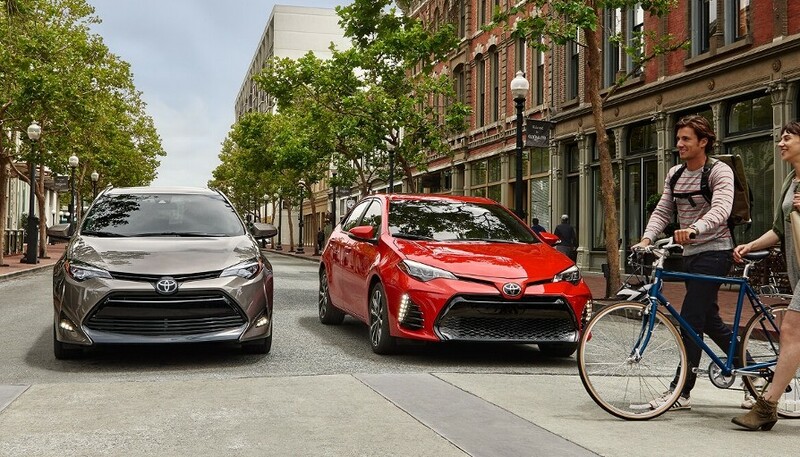 Take a look at how this smart sedan matches up against competitors like the Chevy Cruze, VW Jetta, and Kia Forte, then visit our showroom at 1055 Crossing Place in Madisonville, KY to check out the Corolla in person. While you’re there, be sure to ask about our exclusive Watermark Warranty . Don’t delay! Schedule a test drive in the well-reviewed 2018 Corolla today, then find out about the upcoming 2019 Corolla.